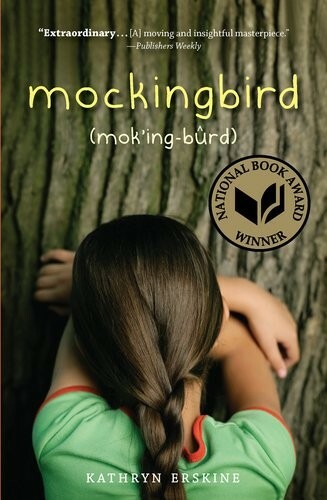 To help parents and educators find high-quality stories that include representation of a variety of disabilities, we've compiled a collection of books in modern settings starring characters with disabilities. While stories about historical figures like Helen Keller are important, these contemporary tales serve an equally critical purpose: showing all children that a disability is only a part of a person's story, not the whole. The little girl in this story is busy doing all sorts of activities: swimming and school, playing on the playground and riding a horse. It's not until the final page, which reveals Susan sitting in a wheelchair, that the reader realizes that there's anything different about Susan at all — and as the previous pages show, that difference really isn't as big as it may seem. 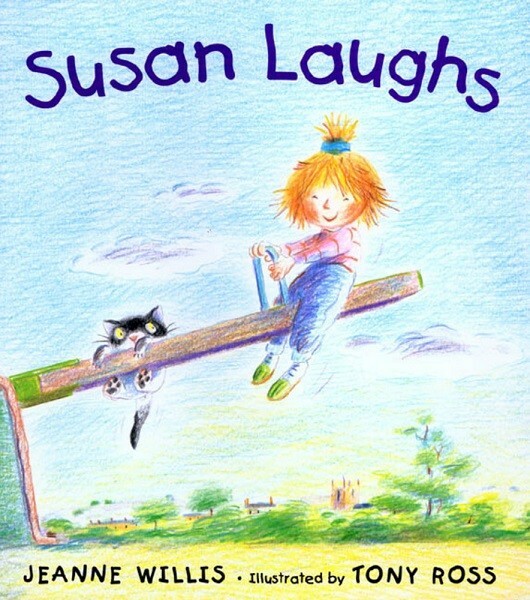 The simple verse of the text flows nicely as a read-aloud, while the pastel illustrations cleverly depict Susan doing everything without ever standing unassisted. 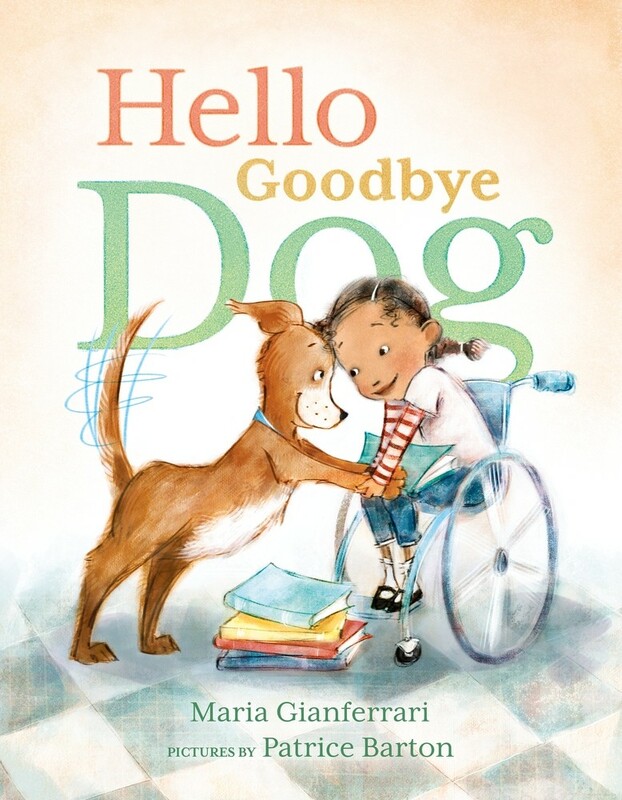 This book avoids the trap of presenting a child with limited mobility as a subject of pity or as a prop for other children's compassion, instead presenting her as she is: a happy, active child, full of life. Annie was born without sight, but she and her grandmother have discovered that she can use her sense of smell to help guide her through life. Soon, she's become an excellent cook, mixing spices and creating dishes that not only fill bellies but also make others surprisingly happy, conjuring memories of people and places that give them peace. Over time, her village considers her a wise-woman, able to use food to cure... but one young man, Julian, is lonely and sad no matter what food she makes. It takes a little advice from her grandmother to help Annie figure out how to help her friend — and herself. Lyrical and elegant, this uplifting book celebrates uniqueness and the power to turn what some consider weakness into strength. 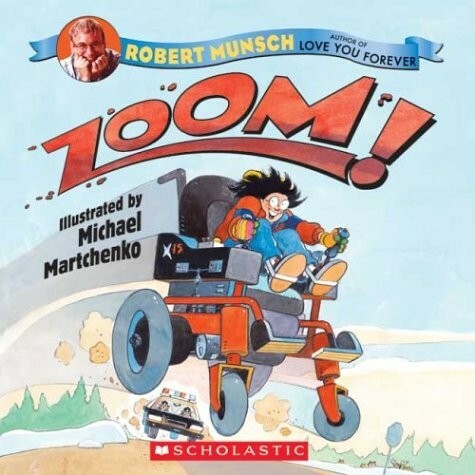 Lauretta is exasperated by her old, slow, wheelchair, and when her mother takes her to buy a new one, she decides she wants something really fast — like the 92-speed, black, silver, and red dirt-bike wheelchair! Her mother grudgingly decides to let her give it a one-day tryout and Lauretta is thrilled... until she gets a speeding ticket and her parents insist the chair will have to go back. But when Lauretta's brother has an accident and needs to get to the hospital, it turns out that Lauretta is just the one for the job! Kids will giggle and cheer as Lauretta finally gets a set of wheels she really loves. 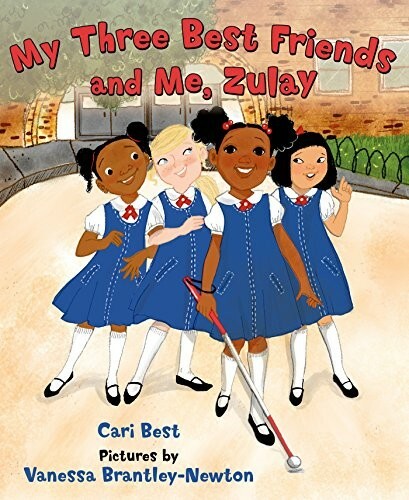 Zulay and her three best friends are in the same first grade class, even though Zulay is blind. She uses a Braille typewriter and manipulatives for math, so she rarely feels like she stands out -- except when she gets pulled out of class to practice using a cane, something that still makes her self-conscious. When her teacher announces the upcoming Field Day, Zulay decides she wants to run a race, and her peers fall silent, not sure how she can. Fortunately, her understanding and determined teacher assures her and them that the class can definitely find a way for Zulay to cross the finish line! 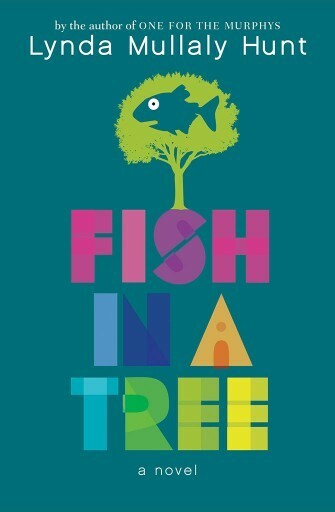 Encouraging and optimistic, this book reminds young readers that a little creativity goes a long way when it comes to including peers with disabilities. Zara the girl and Moose the dog adore one another, which means saying goodbye is as awful for Moose as "an itch that couldn’t be scratched." So when Zara goes to school, Moose keeps escaping (in more and more elaborate ways) to join her! The only thing that works is confining a lonely Moose to a crate, something everyone realizes isn't a good solution. So Zara takes Moose to her own school — therapy dog school — and Moose returns to the classroom as the class reading dog! 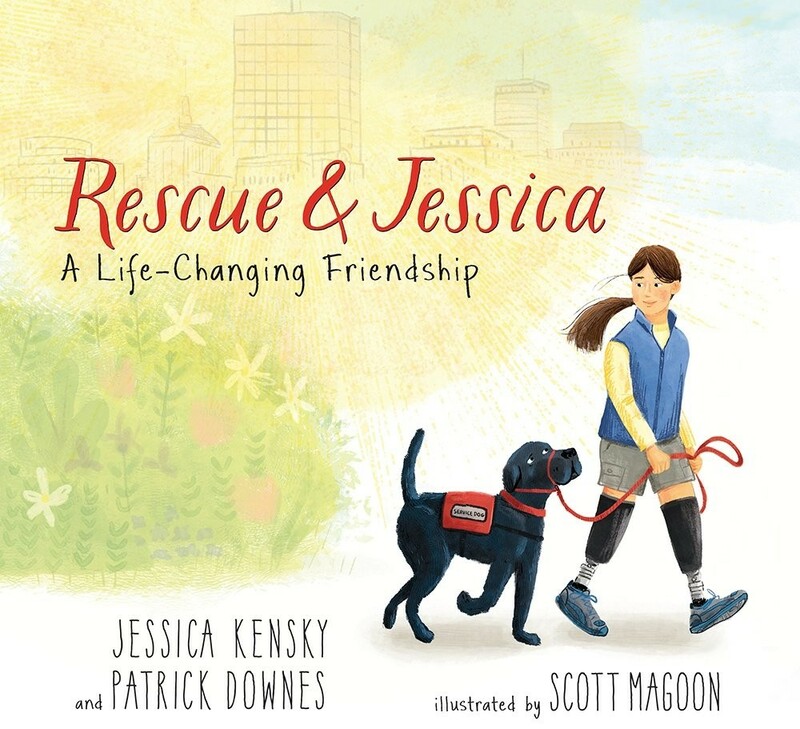 This fun story, one of the rare titles depicting a girl with a disability that doesn't make her disability the focus of the story, also includes an endnote with additional information and websites about therapy dogs. When faced with "hidden" disabilities like dyslexia, kids can end up believing that they're not as intelligent or capable as their peers. Trisha’s original enthusiasm for school dies when she struggles to understand the squiggles on the page, while her peers race ahead. Her classmates — and soon, Trisha herself — assume that she is a “dummy”, incapable of learning no matter how hard she tries. 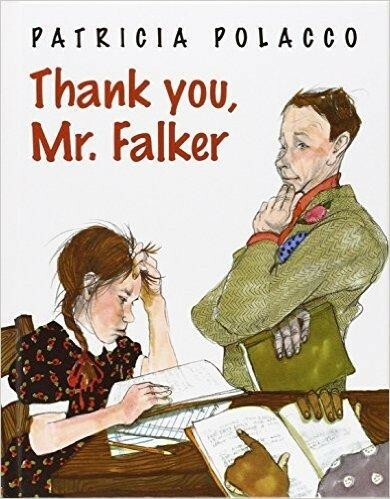 Fortunately, Trisha's teacher Mr. Falker not only spots the challenge that is holding back her reading, but also her remarkable artistic talent and, with lots of gentle encouragement, helps her reach the magic moment where she can finally read. 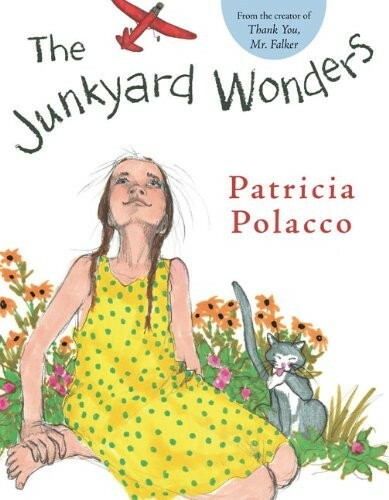 This semi-autobiographical story from beloved author Patricia Polacco will help give kids with special needs confidence that they can achieve great things. Fans of this book should also check out The Art of Miss Chew, in which an art teacher helps Trisha discover her special gift for art. Every year, Nellie and her two brothers look forward to their family's trip over the Black Mountains to their beach house. 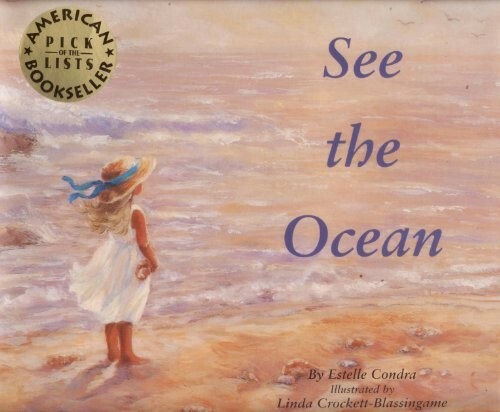 Her brothers always compete about who will see the ocean first, but Nellie never participates until one year, when the shore is shrouded by thick fog. Suddenly, Nellie says she sees the ocean, "an old, old man born at the beginning of time.... When the sun shines, he laughs and gurgles and prattles in the rock pools." It's not until one of her brothers protests that "She can't even see!" that readers realize that Nellie is blind — and yet, as Nellie's mother reminds them, she has her own ways of seeing. Author Estelle Condra draws on her own experiences with losing her sight to create a happy, active, and perceptive Mighty Girl character. 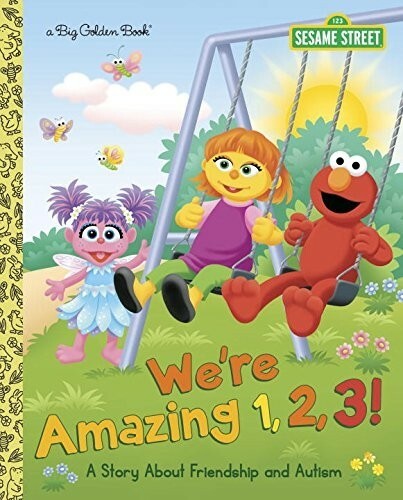 Almigal and her friends love to celebrate their differences: one friend wears glasses, two are twins, and her best friend is hard of hearing — just like Almigal is. Although Almigal wears hearing aids, she gets frustrated by all the things she can't hear — from the music for dance class to the voices of her friends and family. 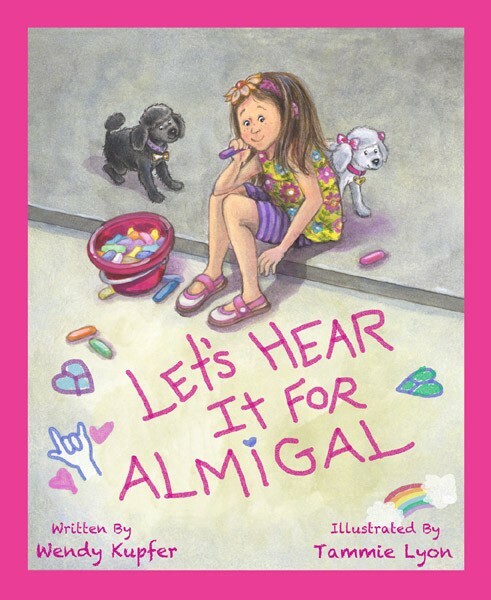 Then, after an appointment to her hearing specialist, Almigal learns that she is a candidate for cochlear implants. While the implants come with some big responsibilities, they also help her hear the sounds she's been dreaming of — most of all, the sounds of her parents whispering to her when they tuck her into bed every night. Attitudes towards children with special needs are often the most difficult obstacle of all. Tricia, who has dyslexia, is horrified to discover that the special education classroom at her new school is called "the Junkyard" — the kids, including a student with Tourette's Syndrome, a mute girl, and a boy with a visual impairment, are the misfits of the school. But their teacher, Mrs. Peterson, teaches them to adopt the name with pride, taking them to an actual junkyard and showing them the potential that lies within it — and them. And when one of their classmates dies, the Junkyard Wonders pay special tribute to him with something that most people would write off as trash. 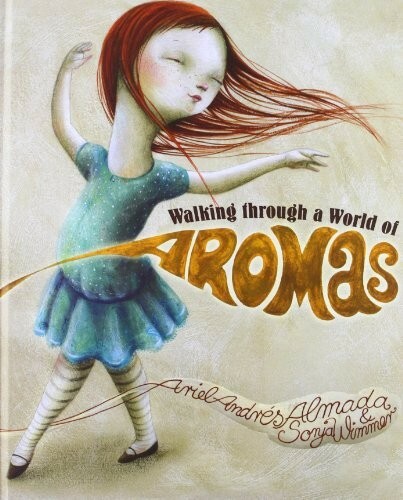 This heartfelt book will teach readers to seek the unique talents in every person. Eliza's ADHD makes her flit from interest to interest, becoming captivated by something but then losing motivation just as quickly. Currently, her obsession is learning to decorate cakes, but her parents insist that the "Cakes with Caroline" class is too expensive given her history of quitting. 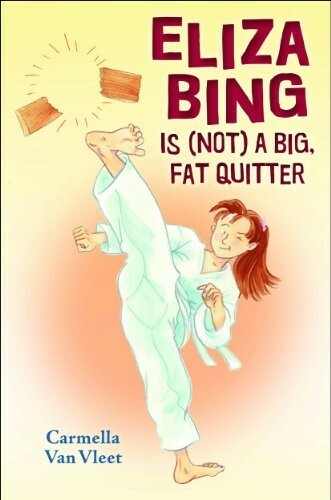 So when her brother quits a non-refundable taekwondo class, Eliza strikes a deal: if she can see the class through, her parents will let her take the course she wants. At first she has no interest in the martial arts, but as she persists, she discovers new focus, as well as a sense of accomplishment. Eliza's story sensitively depicts the challenges of life with ADHD, as well as confidence boost that comes with finding your passion. 12-year-old Rose is autistic and has a particular obsession with homophones — so when her father brings her home a dog, she names him Rain, a word with three homophones (rein, reign) that makes him extra special. 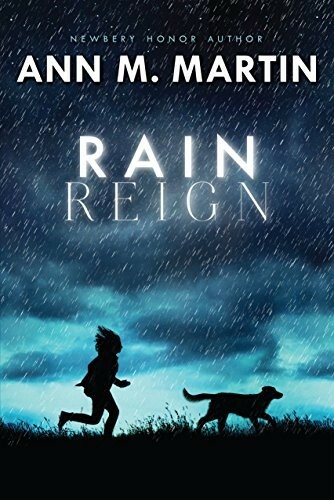 When a storm causes flooding and Rain goes missing, she is determined to find her beloved dog, but when Rose discovers that Rain may belong to someone else, she faces a seemingly insurmountable challenge: breaking out of her routine and comfort zone to find Rain's owners, and maybe even giving back her beloved friend. 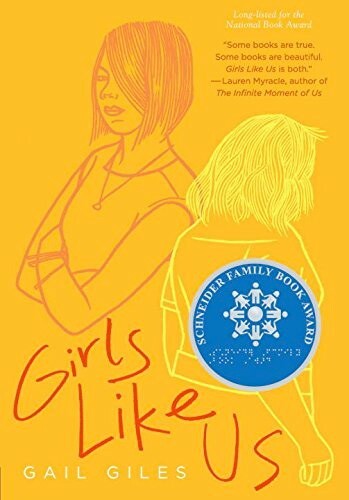 Rose's authentic voice in this book captures her struggles with a life full of rules that are critical to her but unimportant or incomprehensible to those around her, but also reveals an observant, loving, and funny girl who finds empowerment by learning how to let go of some of her need for control. After a serious illness at the age of four, CeCe discovers that she’s no longer able to hear. Hearing aids and lip reading provide unexpected challenges, and as she goes out into the wider world she realizes how little people understand about living with hearing loss. All she wants is a friend, but that seems impossible when she struggles to do something as simple as watch a TV show with hearing kids. To succeed in school, she gets a bulky device called a Phonic Ear that allows her to hear her teachers — even when they forget she's listening. 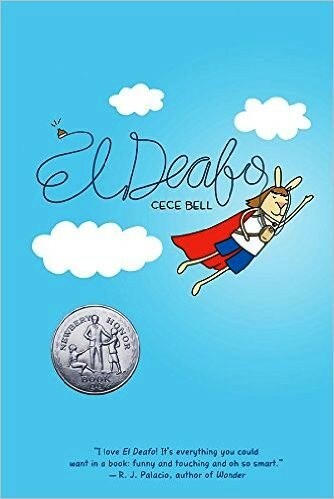 Perhaps El Deafo can be a superhero to her peers after all... This delightful graphic novel, a 2015 Newbery Honor book, provides an uplifting and humorous glimpse into life of a hard of hearing child, and even provides tips for how hearing people should interact with those who lip read or use hearing aids. Iris was born Deaf, but the 12-year-old tech whiz doesn't need hearing to repair machines — she can feel the vibrations from the computers and radios she works with. But as the only Deaf person in her school, she's isolated from her peers, who either ignore her or, worse, make up "sign language" of their own. 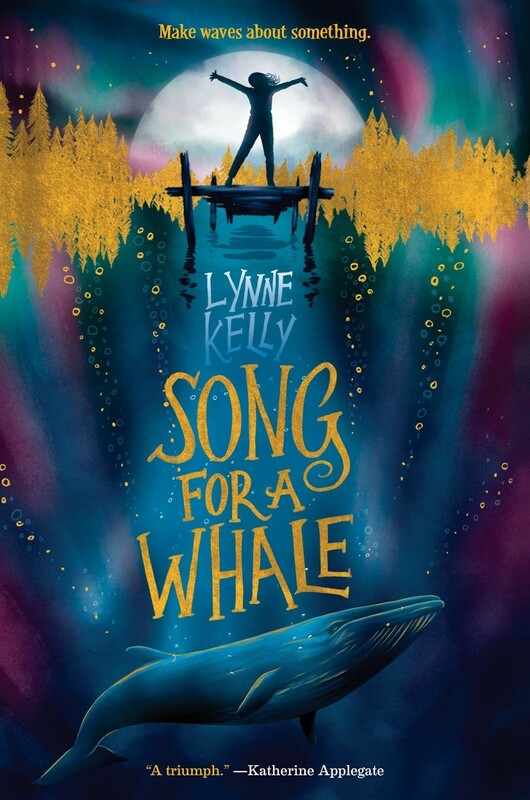 When Iris learns about Blue 55, a whale who sings at a frequency that's unintelligible to other whales, she becomes determined to use her electronics skills to "sing" back to him, letting him know that he's not alone. Written by a sign language interpreter and rich with authentic details about Deaf culture and the struggles of families with both Deaf and hearing members, this poignant story celebrates the power of communication, whatever form it takes. Aven has long since gotten tired of questions about what "happened" to her arms, so she creates crazy stories instead of repeating over and over that she was born without them. 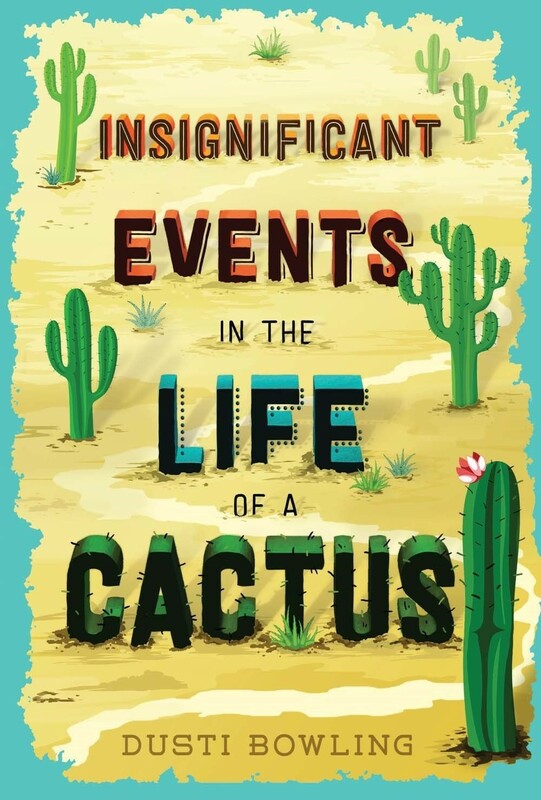 When her family moves to Arizona to run a theme park called Stagecoach Pass, she steels herself for even more questions. Then she meets Connor, who also feels isolated by disability (in his case, Tourette's Syndrome.) And when the newfound friends discover a mystery at Stagecoach Pass, the real adventure can begin! This quirky adventure starring a delightfully funny main character is a reminder that others' reactions are often more problematic than the disability itself — and that nothing, not even "lack of armage," has to hold you back. Ally is clever — she knows that, if she's enough of a disruption in class, no one will figure out just how little she can read. But how can she be smart if she can't even read the simplest things? Her newest teacher, Mr. Daniels, seems to see past her brash, troublemaking exterior, and even puts a name to her reading problems: dyslexia. Lynda Mullaly Hunt provides a compassionate look at life with a learning disability, with an ending that's realistic: Ally's happy ending will involve small changes and a lot of hard work! Her reminder that great minds don't always think alike — and that struggles with literacy can affect surprising aspects of a person's life — will provide kids with dyslexia with hope and encourage those without similar struggles to have empathy for the challenges they pose. Melody's classmates and teachers dismiss her as mentally challenged, because her cerebral palsy leaves her unable to walk or speak. But the truth is that Melody's mind is remarkable: deeply intelligent and with a photographic memory, she's capable of much more than anyone expects. And while she's been repeating the same preschool-level ABCs year after year, she's also been planning exactly what she'll say whenever she figures out how to communicate. Then her parents get a computer — one which has a special keyboard that will allow Melody to talk. Melody has found her voice; are people ready to hear what she has to say? Complex and thought-provoking, this novel will open middle readers' eyes to the misconceptions about people with disabilities. Promising athlete Jessica's life seems to fall apart after an accident results in the loss of her leg. Being able to walk again — with a prosthetic — doesn’t seem that great to a girl who loved to run. And learning that Rosa, a girl with cerebral palsy who Jessica used to ignore, is going to be her math tutor is salt in the wound. But Rosa has a lot to teach Jessica about being comfortable in her skin, and when Jessica’s former teammates raise $20,000 to get Jessica a running leg, Jessica has a realization: the next time she races, Rosa should be getting some of the spotlight too. 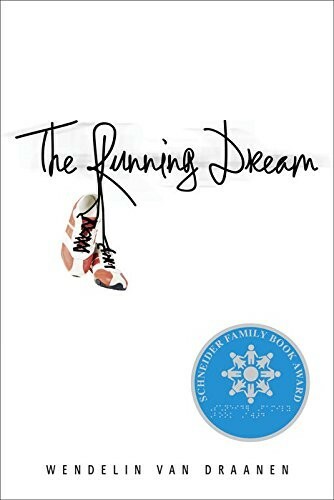 Jessica's realistic journey, both through the grief of losing a limb and through the guilt of recognizing how poorly she has treated people with disabilities in the past, is sure to speak to teens, and readers will cheer as Jessica finds a new running dream to chase. Kara is a popular student and aspiring dancer with a mostly perfect life; the few snags, like her parents' arguments, seem minor. But after one particularly terrible day, she drives off from a party... only to be struck by a drunk driver. When she wakes up in the hospital, she learns that she is now paralyzed below the waist. Suddenly, Kara has to adjust to a new life after a serious injury, and her popular friends and boyfriend are nowhere to be found. 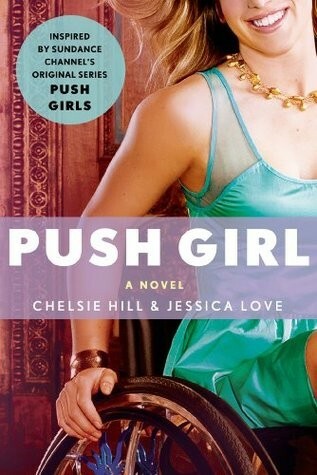 Fortunately, with the help of some old friends — and the decision to be a "push girl," who faces every challenge with determination -- Kara finds a way to build a new life and give hope to others around her. Author Chelsie Hill survived the same sort of injury as Kara and created the real life Walk and Roll Foundation, which is dedicated to helping people with spinal injuries, giving this book an authenticity and heart that's deeply touching. For Emilie, life is about being safe: since her father died of cancer and she was diagnosed with epilepsy, she's been happy to stay homeschooled, with no one but her seizure alert dog for company. When her mother decides it's time for Emilie to attend public school, Emilie's fears about her recently-adjusted medications failing lurk in the background as she adjusts to busy school halls and newfound friends. 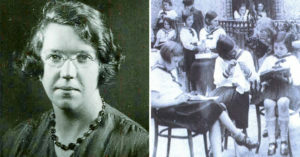 Even when she's paired with star athlete Chatham York for a project about Emily Dickinson — and he actually shows interest in her — she can't help but worry what will happen if she has a seizure at school. And when the inevitable happens, Emilie is forced to make a decision: give up on her life, figuratively or literally — or see just what the big world has to offer. 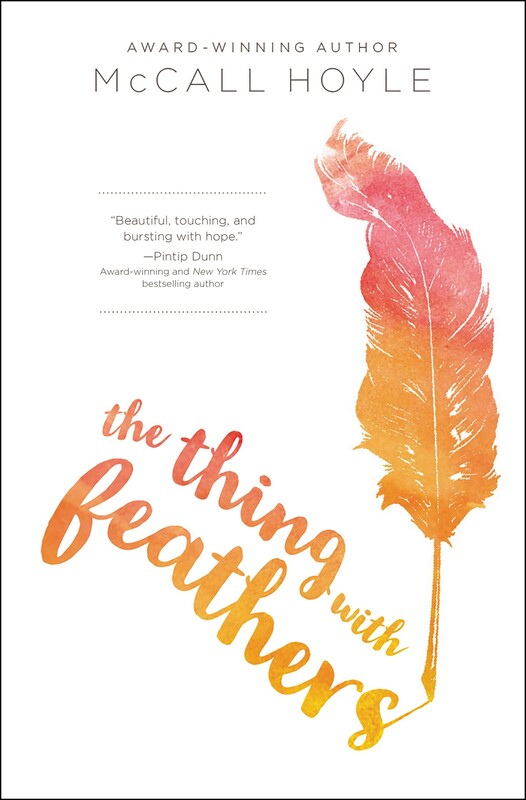 This powerful title about overcoming fears and finding friendship and love also recognizes the challenges of life with an invisible disability. Veda is a classical dance prodigy in India, and she adores dancing — so the accident that takes her leg is crushing. With her leg amputated below the knee, her dreams of being a dancer are surely ruined. But Veda refuses to give up dancing, and starts taking lessons in the beginner class, using a prosthetic leg. Her connection to one teacher, Govinda, becomes a deeper relationship as they share their feelings about spirituality and dance. "Our ancient scriptures say the best dancers must have ten talents: balance, agility, steadiness, grace, intelligence, dedication, hard work, the ability to sing well, to speak well, and to see deeply and expressively," he tells her. "You’ve only lost the first three talents. Only for a while." 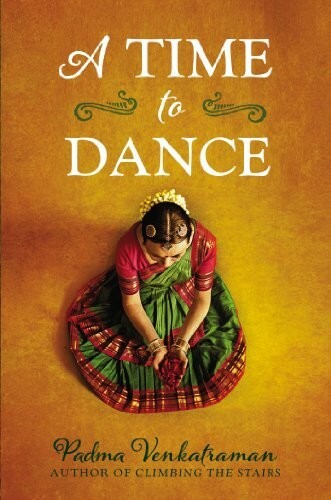 Readers will be delighted as Veda finds ways to overcome the obstacles that keep her from her passion for dancing. Amy was born with cerebral palsy, and she's spend her whole life using a walker, a speaker box — and an adult aide. One day, though, Matthew, one of her high school classmates challenges her bubbly exterior, and Amy decides that relying on adults has kept her separated from her peers. In response, Amy asks her parents to pay her fellow students to help her, and urges Matthew to apply. As they form a friendship, Amy discovers that Matthew's quirks are actually compulsions, and that, in many ways, his undiagnosed and untreated OCD limits him far more than her CP limits her. 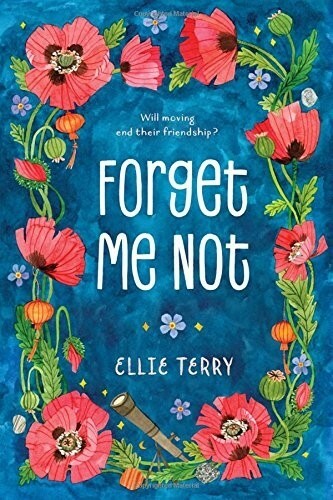 Together, they face the challenges of high school, their friendship turns into a romantic relationship, and Amy realizes that letting people her own age into her life has taught her to see her possibilities, not her limitations. Quincy and Biddy are "speddies," graduates of high school special education programs, and now they're taking on a new challenge: life in a supervised apartment space. Quincy is suspicious of everyone — no one has ever been kind to her before, so why would they start now? — while Biddy is terrified of everything beyond their front door. After being paired as roommates, though, what seems to be a poor fit turns into a deep friendship — particularly when Quincy goes through a traumatic experience that Biddy understands all too well. Together, maybe they really can make a life for themselves, even if they learn a little slower than other girls. 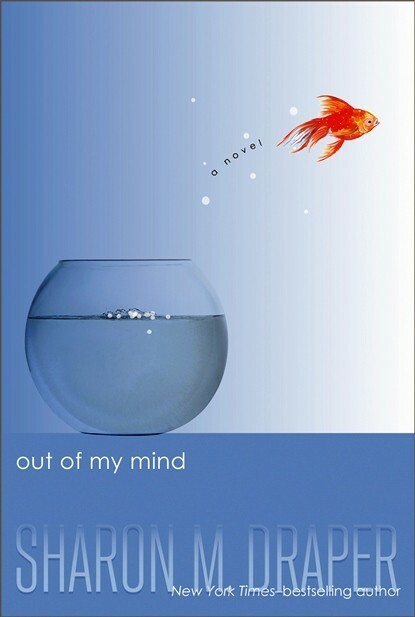 This novel doesn't shy away from the challenges facing people with intellectual disabilities, including scenes involving physical and sexual assault, but Quincy and Biddy show the power of learning independence, particularly with a friend at your side. Jillian Daugherty was born with Down syndrome, leaving her parents, Paul and Kerry, flooded with worry and uncertainty — and also overwhelming love. They refused to believe that Jillian was destined for a life of misery and struggle, instead deciding that they would help their daughter achieve everything she was capable of. 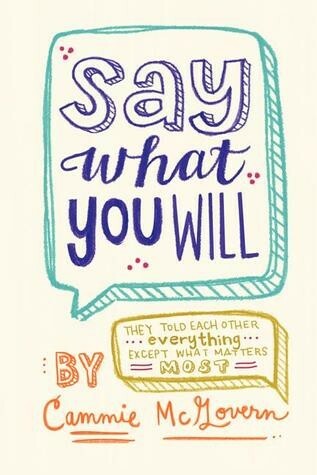 And they discovered that Jillian was capable of a lot more than the naysayers expected! In fact, her determination and strength allowed her to exceed every expectation that was mistakenly laid on her diagnosis. 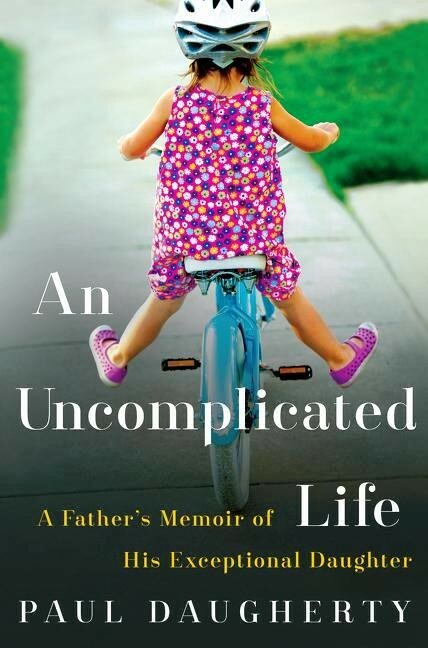 In his memoir about raising his very special daughter, Paul Daugherty shows how Jillian has inspired those around her to live better and more fully. The day Jillian was born, Paul says, was the last bad day — and this heartwarming book about their journey together captures how much this Mighty Girl has taught her father. For books about Helen Keller, one of the first prominent disability advocates, visit our Helen Keller Collection. Our Guides for Girls Collection includes titles that can be helpful for girls with disabilities, including Attention, Girls! A Guide to Learn All About Your AD/HD for age 7 to 12; The Survival Guide for Kids with Autism Spectrum Disorders (and Their Parents) for age 8 to 13; and The Social Success Workbook for Teens for age 13 and up.